Where and What is Reno's MidTown District? 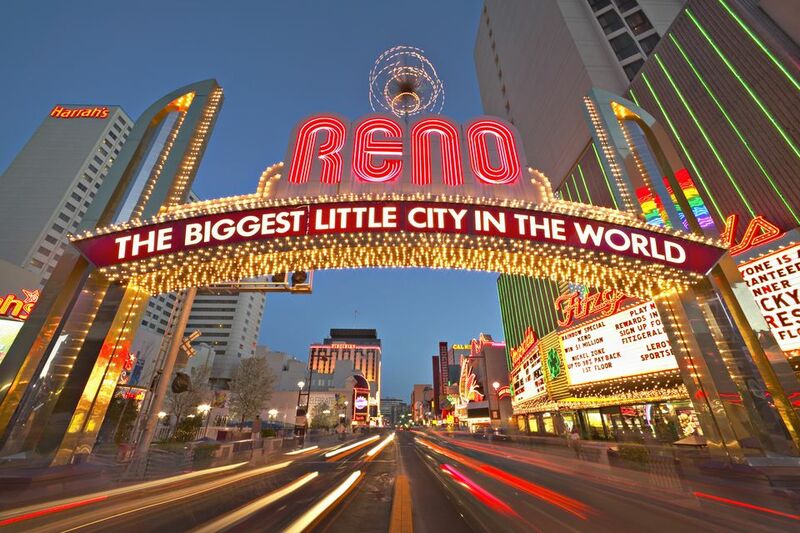 Reno's MidTown District is south of the Truckee River and the downtown casino area. The north boundary is Liberty Street and the south limit is Plumb Lane. Holcomb Avenue marks the east side and Plumas Avenue is on the West. These are the boundaries defined by MidTown District Reno, a group dedicated to improving the area for residents, visitors, and businesses. Most of the establishments listed here are members Midtown District Reno. For more information, visit the organization's contact page or call. 1864 Tavern - Named for the year Nevada became a state, 1864 Tavern showcases the Silver State's history, traditions, and accomplishments. Brasserie Saint James - Craft brewery and restaurant, located in a historic old Reno building. MariChuy's Mexican Kitchen - Real Mexican food prepared by a couple that moved to Midtown from another Reno location. Chapel Tavern - Great cocktails, huge selection of spirits, and adventuresome owners who like to create unique concoctions for their customers. Chapel hosts a variety of events throughout the year. Craft Wine & Beer - This shop offers wine, beer, spirits, sake, and other liquid refreshments. Many products come from small growers and brewers. Not really a bar or restaurant, but Craft Wine & Beer offers tastings and other events. Great Full Gardens Cafe & Eatery - Unique, healthy, and tasty dishes, including low-calorie choices. A second location, Pathway's Cafe, is on the UNR campus in building 160. MidTown Wine Bar - Big selection of wines, beers on tap, tastings by the glass, live music on weekends, facilities for parties and special events. Reno Public House - Bar with a neighborhood pub atmosphere, pouring a complete line of bottled and draft beers and specialty cocktails. Shea's Tavern - Shea's is an Irish pub/bar that's said to be a bit on the wild side. There's a happy hour, pool table, live music, and more. This is a family owned establishment. Silver Peak Brewery & Restaurant - This is the original Silver Peak, with a restaurant and the brewery that provides beer for all three locations. There is a unique roof-top area for when the weather is nice. Süp Restaurant - This midtown restaurant specializes in soups, salads, and sandwiches. Both dine-in and take-out are available. The Hub Coffee Company - A variety of coffee drinks served up from a converted two-car garage. A second location (also in a converted garage) is at 727 Riverside Drive in Reno. Too Soul Tea Company - This tea room and cafe offers loose leaf tea, tea sampling, brewed tea and coffee, vegan wraps, sandwiches, and baked goods. Zephyr Bar - The Zephyr (or just Z) is known for some of the best and most innovative cocktails in Reno.